Hawaiʻi doesn’t keep secrets very well. Many folks in the conservation community were pretty sure that the “U.S. high-level dignitary” scheduled to speak at the IUCN World Conservation Congress had POTUS written all over it – well before the official announcement confirmed the rumor. Many also hoped this visit signaled President Obama’s intent to expand the boundaries of the Papahānaumokuākea Marine National Monument (PMNM). So there was genuine elation, if not surprise in Hawaiʻi, that these marine, historical, and cultural resources would receive further protection, within what had just become the world’s largest protected marine area. But when word of a potential trip to Midway hit the coconut wireless, the Friends of Midway Atoll National Wildlife Refuge became ecstatic. Then just a bit of regret set in. Midway is the only atoll in the PMNM that has an FAA-approved runway, medical facility, housing, and a well-appointed cafeteria. While it’s not exactly easy to get to, it’s the only place in the remote island chain where a high-level dignitary might land an Air Force One. 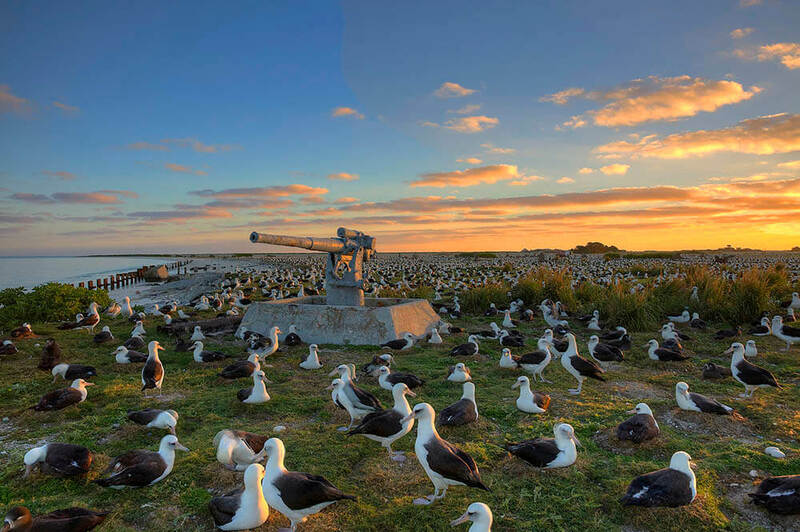 Designated as a National Wildlife Refuge in 1996 and Battle of Midway National Memorial in 2000, Midway is truly a “window” to the Monument. Access is much more daunting for the other jewels in this string of islands that stretch northwest across 1,200 miles. 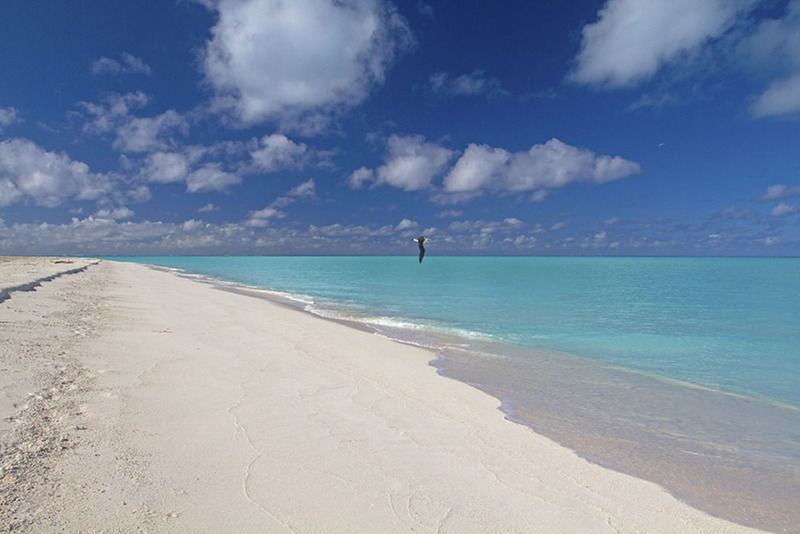 Mr. Obama would need to freeze a brand-new set of clothing for 48 hours (to destroy unwanted pests) before wading ashore at any of the other atolls; the only humans he’d find there would be hardy biologists, sheltered by simple tents, enduring months-long intervals between food shipments, all in the cause of restoring habitat and research. So Midway it is for the big show. Our thoughts turned immediately to what the President will see during his visit. And what he won’t. Seabird islands have cycles. A visit in September means that Mr. Obama has missed the entire breeding season for the black-footed and Laysan albatrosses. There might be one or two gawky juveniles still waddling about the island, like a couch-surfing teenager who’s ignored the time-to-get-a-job memo. But to see the riotous party that several million albatrosses can throw, he really should plan his next visit by June. There just isn’t another experience in the world that compares to the sights, sounds (and smells) of dancing, mooing, moaning, squeaking birds as far as the eye can see. And, for the record, President Nixon timed his historic Midway meeting with South Vietnamese President Nguyen Van Thieu for June of 1969. What a scene: the sounds of pen scratches on official documents and formal declarations by world leaders, framed by high-pitched calls of birds talking story about their own important lives. 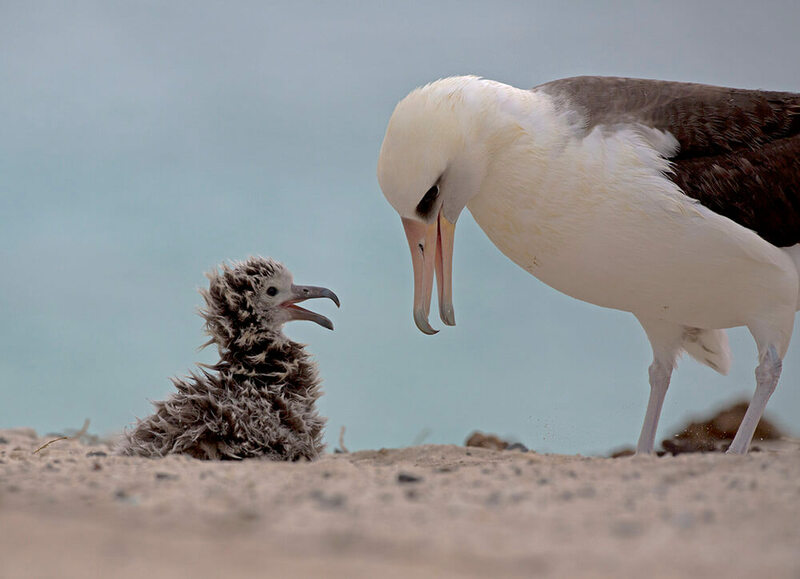 After President Bush created the Monument in 2006, First Lady Laura Bush visited the following year – in March – coinciding with peak-cuteness season for fluffy albatross chicks. With his own pen stroke, Obama will help ensure the long-term health of the marine waters and fish stocks these birds depend on to feed their hungry chicks. But he really needs to see them in their full glory to appreciate what he’s protecting. What he will see is a crazy patchwork of burrows created by nesting Bonin petrels during the breeding season. A single misstep can collapse these hidey-holes; but at least the President won’t be placed on excavation duty – this year’s occupants are far at sea by now, possibly foraging throughout those newly protected waters. The recovery of this species demonstrates the power of effective management; once decimated by black rats introduced during World War II, the petrels came roaring back after a successful eradication program by the U.S. Fish & Wildlife Service (USFWS). The resident pod of spinner dolphins is likely to put on a good spectacle and Hawaiian sea turtles or monk seals could make an appearance. Midway also has a population of endangered Laysan ducks; they can be spotted at one of the seeps or roadside, checking out transitory puddles. 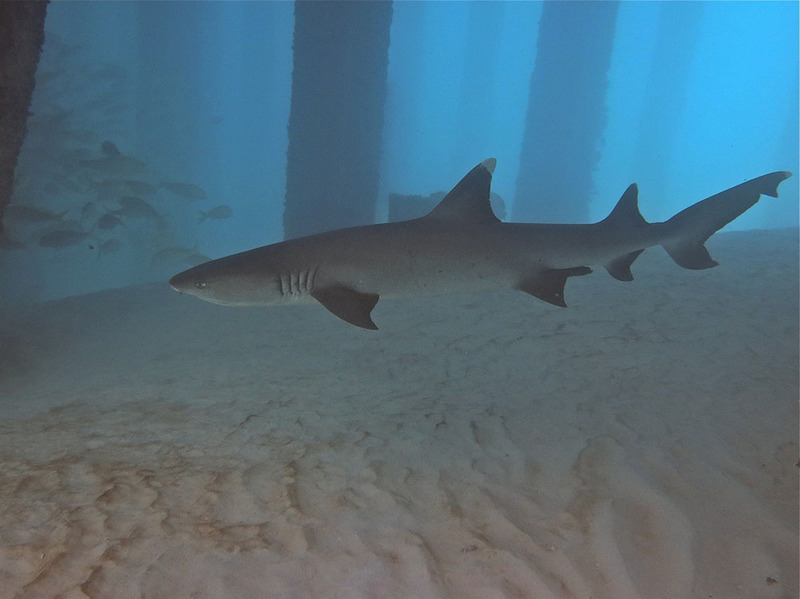 This born-and-raised Hawaiʻi boy might try a quick dip off Cargo Pier, where brightly-colored nudibranchs attach to the pilings, large schools of ulua swirl below, and whitetip reef sharks rest on the sand. A boat trip to the far side of the lagoon would offer a spectacular coral garden tour; Midway waters host at least 29 different species. One thing President Obama won’t see is acres of golden crown-beard, an invasive plant that once dominated the landscape. USFWS staff, volunteers and contractors have been reclaiming the land for the birds; like the petrels’ resettlement, the albatrosses now own that real estate, at least during the breeding season. One advantage to a September visit is that a daylight landing may be possible; arrivals at other times of the year require darkness to avoid bird strikes. Mr. Obama might glimpse several of the Northwestern Hawaiian Islands on his way to Midway. As his plane drops out of the sky onto a speck of land in the middle of the Big Blue, he should comprehend the importance of this remote landing strip. Since 2003, Midway’s Henderson Airfield has been a lifeline for seven military and civilian emergency landings. Some aspects of Midway will require the President to look beyond the obvious. In the crush of his entourage, agency staff, and photo-ops, he may have to look carefully to see how few USFWS staff are detailed to this island and the scale of their responsibilities. The Honolulu USFWS office provides administrative support, workers from Defense Base Services Inc. efficiently manage the facilities, and three-to-four long-term volunteers assist with wildlife and maintenance duties. But the day-to-day decisions fall to just three Refuge staff: a refuge manager, wildlife refuge specialist, and a biological science technician. Their challenge: manage a remote runway; protect and restore a wildlife refuge bursting with life, including endangered birds and plants; oversee research projects; clear marine debris; preserve historic structures not built to last on a sand dune in a salt environment; work within a multi-agency management structure with a variable and decreasing budget; and respond to the desires of a public seeking access to this remarkable place, currently off-limits due to federal budget cuts. For our Commander-in-Chief, we hope that memorial markers, historic buildings, gun emplacements, and artifacts in the Midway Museum help bring to life the enormous sacrifices our sailors and aviators made before and during the Battle of Midway. From this tiny atoll and the seas around it, their bravery turned the tide of World War II. Over the decades that followed, service men conducted early-warning surveillance and provided other services for military operations, transforming Midway into a small city with families, a school and a church. After the Navy traded “guns for gooneys,” much of the visible history of those times began to morph to an island dedicated to wildlife, but the importance of that service and those contributions should never be forgotten. Take a walk on North Beach, by yourself. You’ll be safe on Midway. Sit outside for a delicious meal by Thai Chef Pong. The view is worth the pesky flies. Get out of the golf cart and onto a bike. You won’t have the experience of dodging albatross at this time of year, but the ride will lodge a bit more of Midway into your heart. Come back. By June. Even though you won’t be the current President, it will still give you a much better understanding of what you’ve just done. 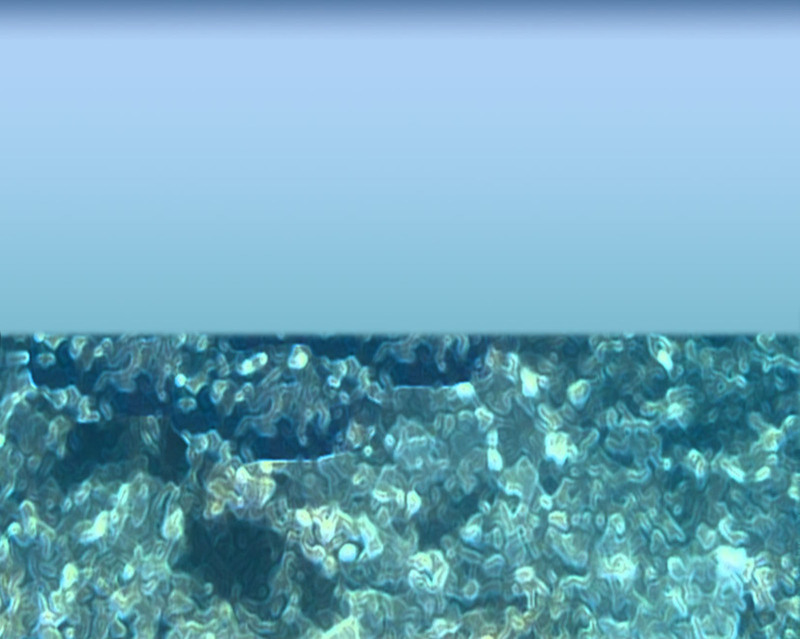 The birds, fish, corals, seals, algae, turtles, dolphins and whales thank you.